Product prices and availability are accurate as of 2019-04-11 09:15:06 EDT and are subject to change. Any price and availability information displayed on http://www.amazon.com/ at the time of purchase will apply to the purchase of this product. 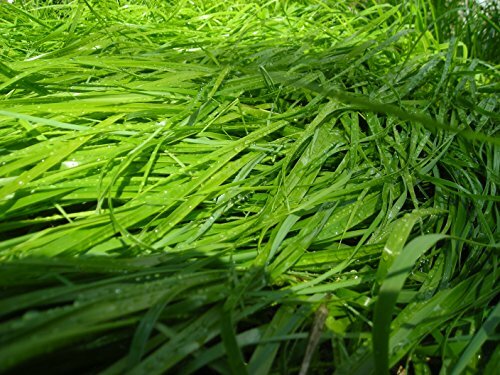 The plant is harvested by cutting grass in early to late summer at the desired length. Hierochloe odorata harvested after the first frost has little or no scent and is less desirable for basketry. Basketweavers sun-dry cut sweet grass until it is dry and brittle. The brittle form of sweet grass must be soaked in warm water until it becomes pliable. The pliable grass is typically braided into thick threads and then redried for use. Used for sewing at least by Menominee. Used as an incense to "keep the bugs away" by Flathead. Used by Cheyenne to paint pipes in the Sun Dance and the Sacred Arrow ceremonies. Sweetgrass has a mellow, almost soporific effect, and for many is a useful aid to entering a meditative state. Characteristics: Very hardy perennial. Native to North America as well as Europe. Grows to about 60 cm (24 in) in height, leaves grow 60 cm (24 in) long by late summer. Bases of leaves, just below soil surface are broad and white, without hairs, underside of leaves are shiny, without hairs. Taxonomy: The name Hierochloe odorata is from the Greek, literally "holy fragrant grass". Some authors include Hierochloe in Anthoxanthum; in this case this species is given the epithet nitens to avoid confusion with a different species, Anthoxanthum odoratum, sweet vernal grass. Propagation: Easiest by cutting out plugs from established plants. Grown in sun or partial shade, they do not like drought. Hierochloe odorata or Anthoxanthum nitens, also known as sweet grass, buffalo grass, bison grass, holy grass (UK), manna grass, Mary's grass, seneca grass, sweetgrass, or vanilla grass, is an aromatic herb which grows in northern Eurasia and in North America. It is used in herbal medicine. It owes its distinctive sweet scent to the presence of coumarin. As a sacred plant, it is used in peace and healing rituals. Leaves are dried and made into braids and burned as vanilla-scented incense; long leaves of sterile shoots are used by Native Americans in making baskets. Natives of the Great Plains believe it was the first plant to cover Mother Earth. The Anishinaabe, Cree, Mi'kmaq, and other Algonquian first nations of Canada believe it is a purifier, and burn sweetgrass before all ceremonies. It is a reminder to respect the earth and all things it provides. It is also used in ceremonial items by the Blackfoot and Lakota peoples. Incense used by at least the Blackfoot, Cheyenne, Dakota, Kiowa, Lakota, Menominee, Montana, Ojibwa, Omaha, Pawnee, Ponca, Sioux, and Winnebago peoples. Used for purification, as oblations to ancestors, for protection of spirits, and keeping out of evil and harm. Used in a variety of ceremonies including peace ceremonies and initiations. Used by Blackfoot, Cheyenne, Kiowa, Lakota, Montana, Okanagan-Colville, Omaha, and Thompson for cosmetic and aromatic purposes. Blackfoot and Gros Ventre use leaves soaked in water and used it as a hairwash. Sweet grass tea and smoke were used for coughs and sore throats (Flathead, Blackfoot). Teas used as a wash to treat chapping and windburn, and as an eyewash. Used as body & hair decoration/perfume by Blackfoot, Flathead, and Thompson. The Blackfoot chewed grass as a means of extended endurance in ceremonies involving prolonged fasting. Iroquois, Kiowa, Malecite, Menominee, and Mi'kmaq people (amongst others) use sweetgrass in basketry (including mats) and crafts. Kiowa use fragrant leaves as stuffing for pillows and mattresses.